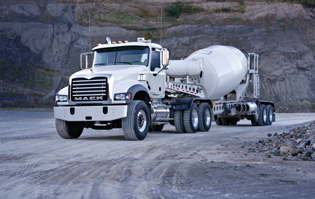 Mack® Granite® is the unyielding foundation of any jobsite. 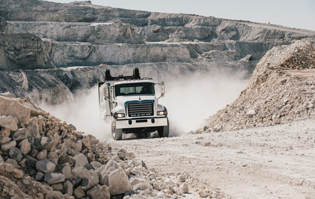 One of the most popular and proven trucks on the road, Granite® has the brains to boost your bottom line and the brawn to get the job done right. The 11-liter MP7 and 13-liter MP8 top out at 405 and 505 HP respectively giving you the muscle to shoulder heavy loads. The Cornerstone’s frame system gives you the versatility to choose the right thickness and strength for your demanding applications. 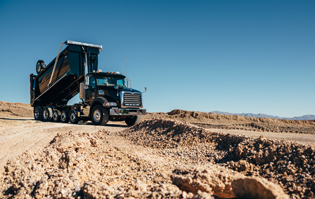 These maintenance-free axles give drivers exceptional front wheel cuts, clearance and turning radius.